On 28th May, The ME Association published Part 1 of the report for public consultation. It is a 294 page document focusing on courses delivered mainly in clinical settings and includes an executive summary, a complete and detailed analysis, relevant patient comments, and extensive conclusions and recommendations. Part 2 will focus on self-management and will be published in the near future. Large numbers of patients with ME/CFS consistently report that prescribed management approaches are not as acceptable, effective, or safe in practice as is often claimed they ought to be. In 2012 the ME Association decided that a new and more detailed patient survey was required to try and better explain the factors contributing to patient reported outcomes, and this report provides quantitative and qualitative evidence of the patient experience. The report will be used to lobby the UK National Institute for Health and Care Excellence (NICE) and other authorities, including NHS ME/CFS specialist services, to effect improvements which will hopefully lead to better outcomes for patients in the future. The survey was split into three sections, one each for CBT, GET and Pacing, it asked 228 questions in total and was completed by 1428 respondents. 493 respondents had been on a CBT course, 233 on a GET course and 226 on a Pacing course. Some had been on separate courses for one or more of the interventions; others had been on courses comprising multiple interventions. An examination was made of the effect courses were deemed to have had on illness severity, on symptoms, disability benefits, employment and education, the appropriateness of courses in relation to individual patient need, and the effect CBT has on anxiety, depression and stress. Also considered was course availability within the NHS, suitability of session length, reasons why courses were not completed in full, the provision of course information to patients, the impact of the NICE Guideline on course delivery, effectiveness of courses led by specialists and non-specialists, and a comparison was made between these results and those from previous patient surveys. With regard to the effect courses had on illness severity, we found that GET resulted in the most significant change with more patients who attended such courses reporting their illness had become more severe as a result. Symptoms were reported as having improved or as remaining unaffected by more patients where therapists leading a course recognised ME/CFS to be a physical illness than where therapists believed the illness was psychological. Symptoms were deemed to have been made notably worse where courses were led by therapists holding this psychological belief even for Pacing. For those who were on benefits, it was most notable that irrespective of the course undertaken, claims remained largely the same with few reducing or stopping their benefits. However, net overall increases were seen in benefits following courses in CBT and GET compared to a slight decrease from those attending Pacing courses. The ME Association concludes that CBT in its current delivered form should not be recommended as a primary intervention for people with ME/CFS. CBT courses based on the model that abnormal beliefs and behaviours are responsible for maintaining the illness, have no role to play in the management of ME/CFS and increase the risk of symptoms becoming worse. Results also indicate that graded exercise therapy should form no part of any activity management advice employed in the delivery of CBT, as this also had a negative effect on outcomes. However, the results did indicate that, when used appropriately, the practical coping component of CBT can have a positive effect in helping some patients come to terms with their diagnosis and adapt their lives to best accommodate it. The ME Association concludes that GET should be withdrawn with immediate effect as a primary intervention for everyone with ME/CFS. One of the main factors that led to patients reporting that GET was inappropriate was the very nature of GET itself, especially when it was used on the basis that there is no underlying physical cause for symptoms, and that patients are basically ill because of inactivity and deconditioning. A significant number of patients had been given advice on exercise and activity management that was judged harmful with symptoms becoming worse or much worse and leading to relapse. And it is worth noting that despite current NICE recommendations, a significant number of severe-to-very severe patients were recommended GET by practitioners and/or had taken part in GET courses. The ME Association recognises that it is impossible for all treatments for a disease to be free from side-effects, but if GET was a licensed medication, it believes the number of people reporting significant adverse effects would lead to a review of the use of GET by regulatory authorities. The ME Association concludes that Pacing is the most effective, safe, acceptable and preferred form of activity management for people with ME/CFS and recommends that it should be a key component of any illness management programme. 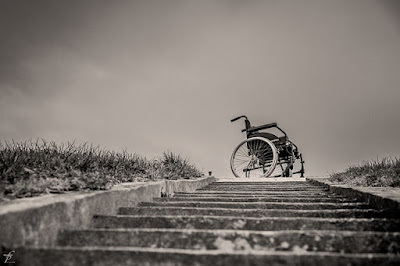 For some, improvement may be a slow process so, whilst they may be somewhat better by the end of a course, the improvement is not enough to take them into a better category of severity for some time, perhaps not until they have self-managed their illness for a few years. The benefit of Pacing may relate to helping people cope and adapt to their illness rather than contributing to a significant improvement in functional status. Learning coping strategies can help make courses more appropriate to needs even if they do not lead to immediate or even longer term improvement in symptoms. Importantly, it can prevent symptoms from becoming worse. The ME Association will prepare a paper on illness management that better reflects the patient experience and which utilises the evidence obtained from the results of the 2012 patient survey, and from the ME Association’s 2010 Management Report. It will also reflect those aspects of the 2007 NICE guideline that are felt to be supported by patient evidence but have not found their way into delivered patient care. The paper will detail a recommended illness management approach for ME/CFS and will focus on issues such as personalised patient care, improved professional education, course accessibility and home visits, and better provision of course information, as well as shared decision making. The aim is to improve patient reported outcomes with a more encompassing and sympathetic approach to illness management in the absence of a specific treatment. 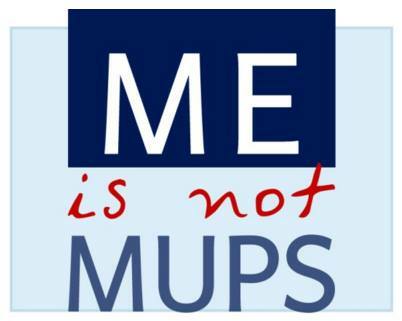 The ME Association provides information, support and practical advice for people who are affected by ME/CFS/PVFS (myalgic encephalopathy/chronic fatigue syndrome/post-viral fatigue syndrome), their families and carers. They also fund and support research, and offer education and training.